Fast, professional services at prices that you can afford. Rapid Roadside Runner is a Washington-based company specializing in towing and roadside services in the Puget Sound Area. Established in 2018, we pride ourselves on getting the job done – fast and quick. We are comprised of experienced, well-trained professional drivers who can provide you with high-quality auto solutions. We work 24 hours a day, 7 days a week so you can reach us anytime – day or night. Our dispatchers are available round-the-clock for providing light duty towing, emergency roadside services, winching services, flat tire repairs, tire changes, and more. 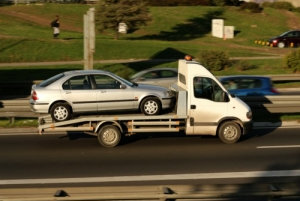 To provide our clients with fast, affordable towing and roadside services. We provide a broad range of services personalized to meet your unique circumstances and needs. To become the preferred towing and roadside service provider in the communities that we serve. We will continue to invest in equipment, technologies, and personnel that will help us meet the needs of our clients. Call us at 206-289-0379 for more information about our company and services.